It is the desire of every person in this world to perform some extraordinary task. Peoples try their best to do best thing or act during their life. It is normally said that it is a great achievement for any man to perform extraordinary acts but this thing becomes of more importance when this is done in the presence of a major disability. Many times a disability can leave a person bitter. 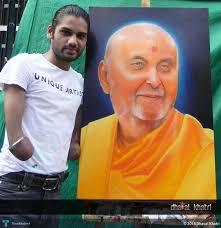 A strong self-confident disabled person accomplishes so much in life in spite of disability. 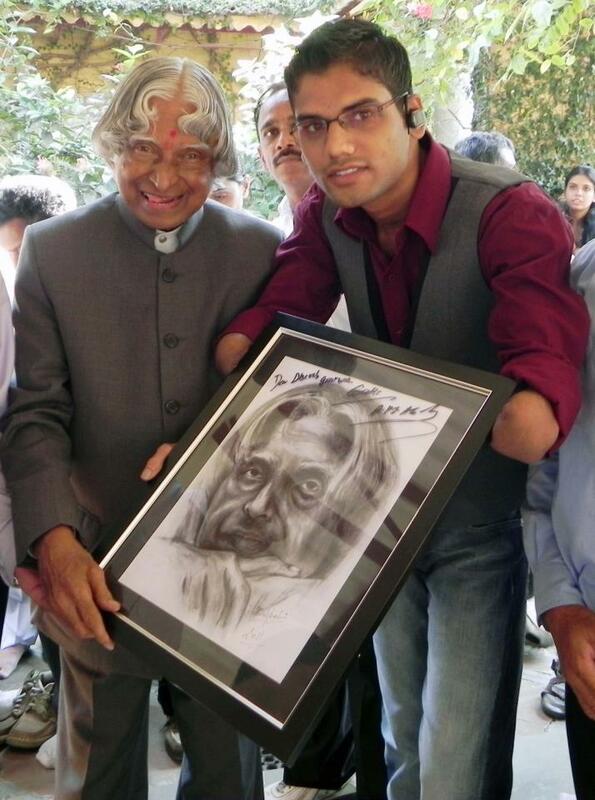 One such example set by a living legend Mr. Dhaval Khatri - a resident of Isanpur, Ahmadabad, who has proved ‘Nothing Is Impossible’ in the world. 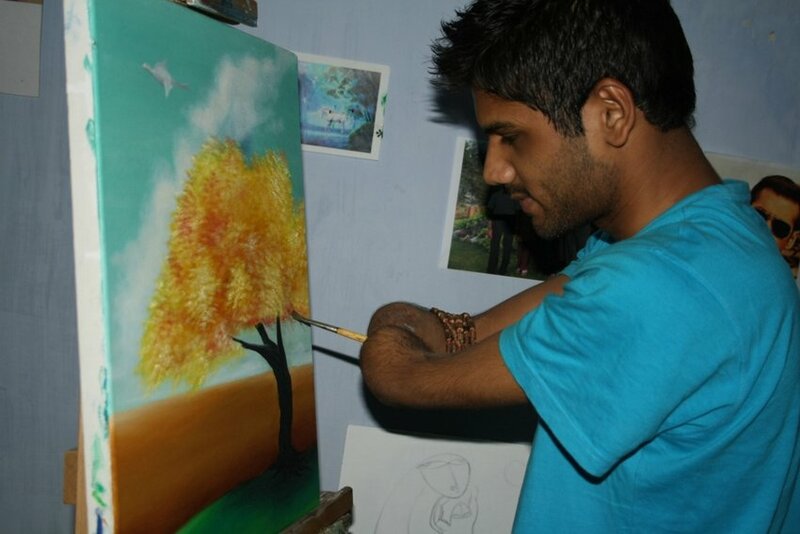 When Dhaval was 14 years old, he lost his hands when he suffered a severe electric shock. Due to massive trauma, his hands had to be amputated. 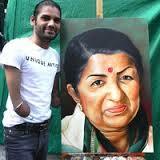 But, Dhaval Khatri wasn’t disheartened. He wasn’t sad because he lost his hands or almost died, but he was happy that he had received a second chance at life – something that a few lucky ones gain. Many would have gone into depression in such a horrible situation. 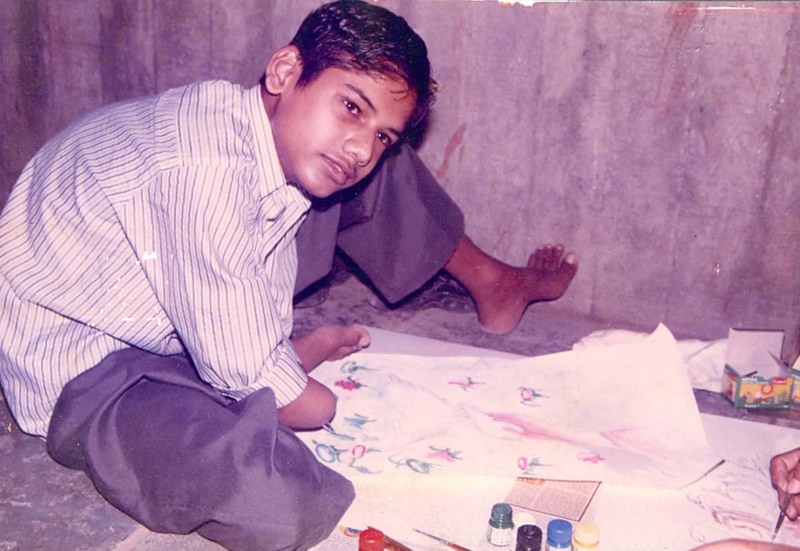 But Dhaval took it as a challenge to show the world that being handicapped can’t deter his dream of living a successful and happy life. Dhaval Khatri always makes his best and unique. He also known as Mr. Unique Artist. He brings here another unique work for us. 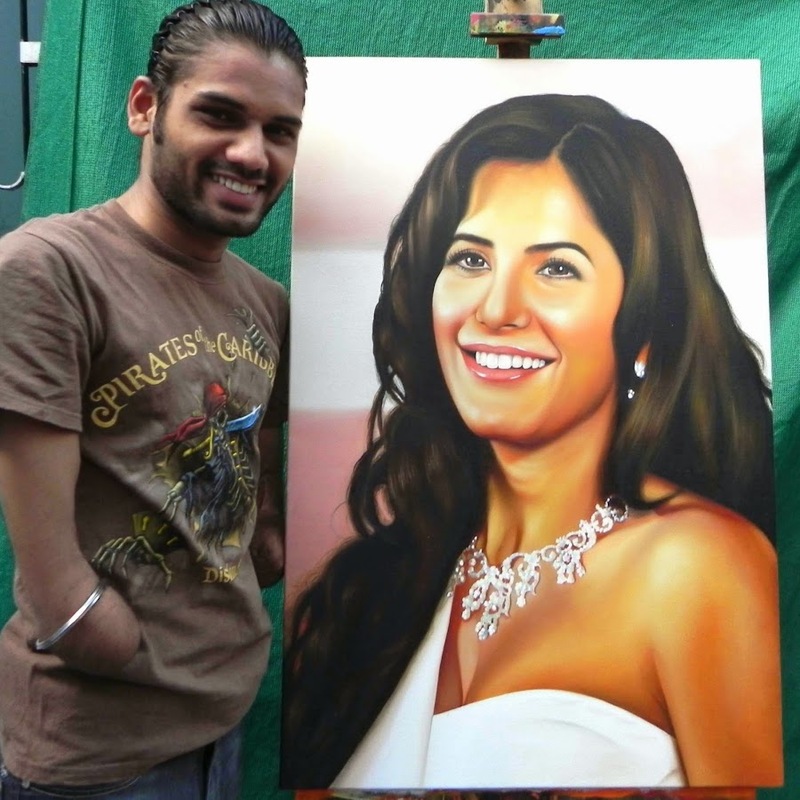 One of the best portraits of Katrina Kaif. Bollywood superstar actress Katrina Kaif also one of the best actress of Dhaval. 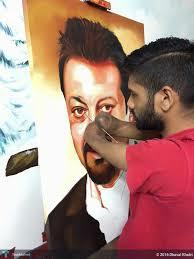 Mr. unique artist makes a lot of Portraits for other Bollywood Stars. His daily routine is also amazing. He prays without fail in every morning. 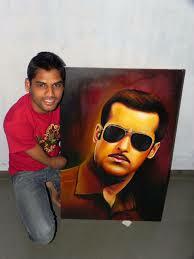 He continues executing many projects which are on hand. He loves reading, and so he makes out time for his beloved books. Other than that, he plays the guitar. 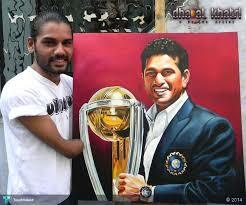 On weekends, he plays cricket or football with his friends. And importantly, he does exercise without fail. He intends on building a body like that of John Abraham, as reported by Youth Connect. 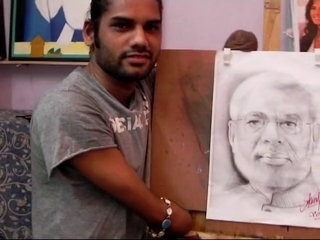 For more amazing arts of Dhaval, you can visit to his official website at http://dhavalkhatri.com.